Your HVAC (heat and air conditioning) are major areas of cost in your home depending on the season. Most new systems come with smarter, digital controls, but they all fall short of simplicity and functionality. That’s where the Nest Thermostat comes into the picture. The price tag of $249.00 may seem like a lot at first but the savings pay dividends. 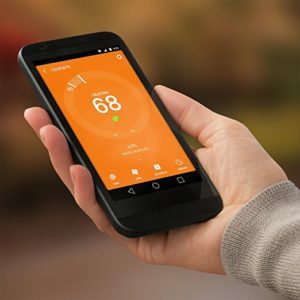 By easily programming a schedule into the Nest, you’ll see savings of up to 30% on your utility costs. (We’ve personally experienced these numbers, and more, but we don’t want to make any lofty guarantees based on your home’s energy efficiency). Aside from programmable schedules, the Nest operates tons of features from a very easy to use app for your iOS or Android device. and in moments you’re back to comfortable. 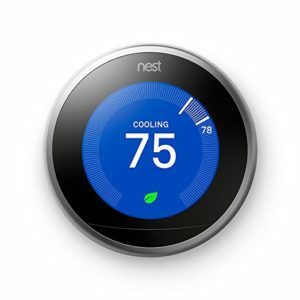 There are more and more thermostats coming to market, at varying prices, but for ease of use and installation, we highly recommend the Nest.